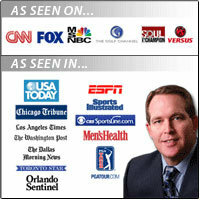 Dr. Patrick Cohn, is the owner of Peak Performance Sports, LLC and Peaksports.com. Dr. Cohn founded Peaksports.com in 1996 after starting Peak Performance Sports in 1991. Athletes, performers, coaches, sports parents, and mental coaches learn practical mental toughness strategies to improve performance and consistency in sports. At Peak Performance Sports, you'll discover the secrets to think like a champion. You'll improve confidence with mental training for athletes and young athletes, mental toughness seminars for teams or groups, and online mental training programs. In addition, sports psychologists in-training can get expert training from master mental game coach Dr. Patrick Cohn with the Mental Game Coach certification program for Coaches, Athlete's Mental Edge Workbook system, or by joining our Mastermind program for sport psychology professionals.